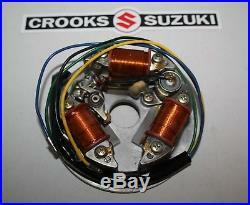 Description: New Old Stock Genuine Suzuki B100 B120 B100P B105P KT120 Stator Assy. 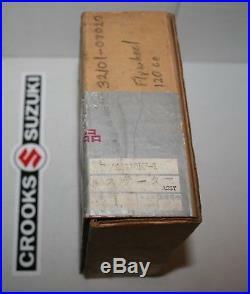 Fits: 1960’s and early 1970’s B100, B100P, B105P, KT120 and B120. Different design to the TC120 and later 1975 B120M. 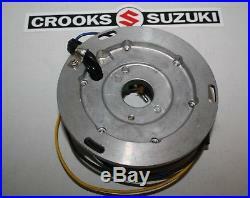 Please note this item is New Old Stock and still in its Suzuki packaging, check out the photos for condition. 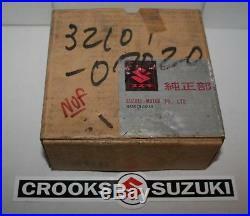 Very Rare Part, Now Obsolete. Grab Yourself a Bargain! Please note this special offer price is only valid while stock is available. 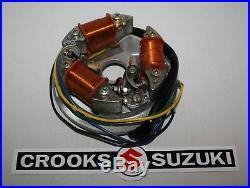 Crooks Motorcycles Ltd t/a Crooks Suzuki 36-44 Crellin Street, Barrow-in-Furness, Cumbria, LA14 1DY, U. 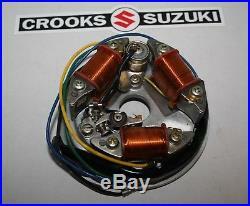 The item “NOS B1003110K2-1 32101-07020 Suzuki B100 B100P B120 Stator Assy” is in sale since Monday, January 8, 2018. 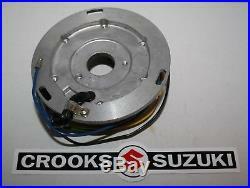 This item is in the category “Vehicle Parts & Accessories\Motorcycle Parts\Electrical & Ignition Parts\Magnetos & Parts”. 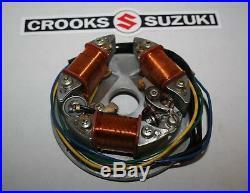 The seller is “crookssuzuki” and is located in Barrow-in-Furness. This item can be shipped worldwide.